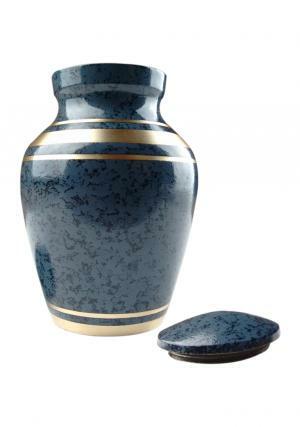 Golden eagle keepsake cremation urn enamelled in blue with black sprinkles has a great piece of artwork from professional. 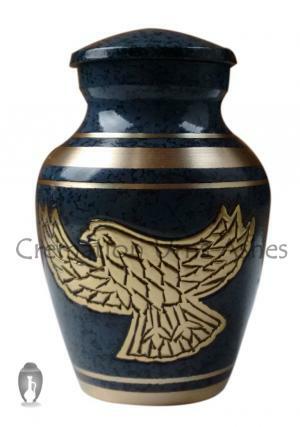 The hand engraved golden eagle makes a beautiful presence with circled bands of gold around the mini keepsake urn. 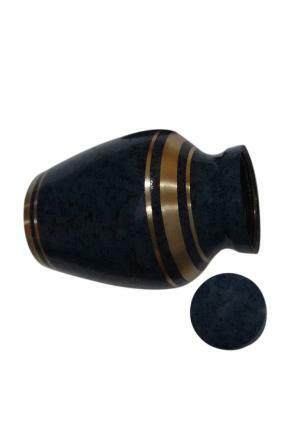 The keepsake mini golden eagle urn is made of quality brass and has screw threaded top lid with the engravings of blue & sprinkled black, used for insertion of ashes and secure closure cremated ashes. 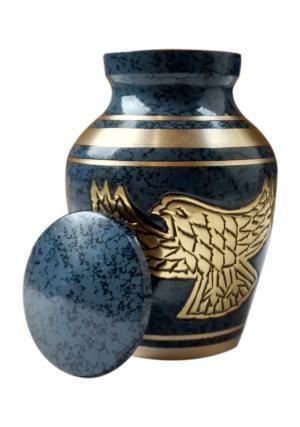 The mini keepsake golden eagle cremation urn is presented from skilled artwork and weighs 0.18 kg empty, capable of holding 3 cubic inch of cremated ashes approximately. 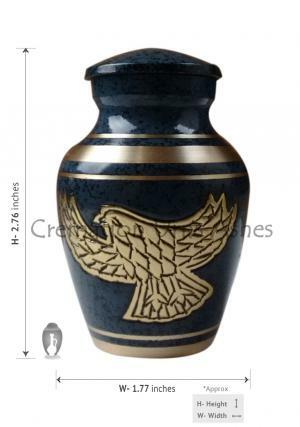 The dimensions of the mini golden eagle keepsake urn are of 1.77 inch length, width and height of 2.76 inch.